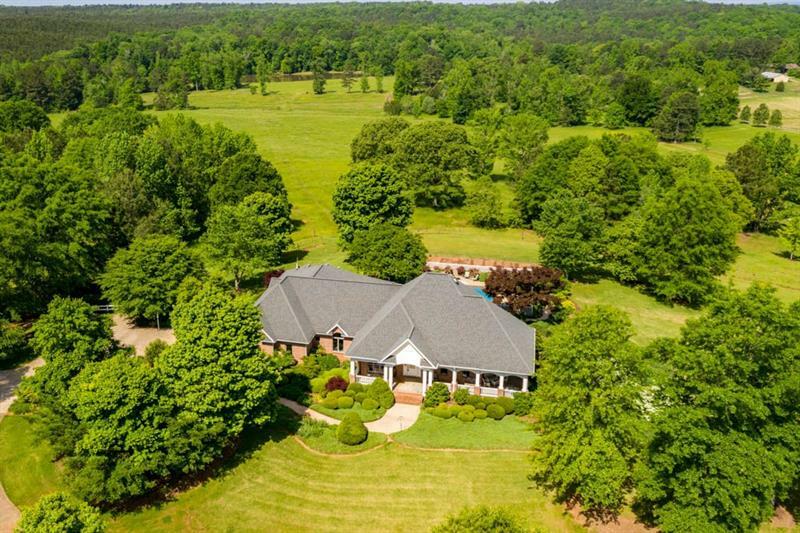 Incredible 261 Acre Estate located in Coweta County, a short drive from Newnan. Sweeping views of rolling pastures and professionally landscaped gardens of berries, fruit trees and surrounding vineyards. Estate features a French Country style, custom ranch home w/ finished basement, 4 bed, 3.5 baths and incredible views / 17x32 saltwater pool / Main barn with full bath and huge covered equip & storage areas / Hay barn / Custom built Cabin that sleeps 12 and overlooks 5 acre lake / 2nd 5 acre lake-both lakes well stocked / A 3 Bed 2 full bath Caretaker or Rental Home. Listing provided courtesy of Acme Audubon, Inc.
A representative from Metro Brokers has received your request to visit 1464 Jd Walton Road on at .